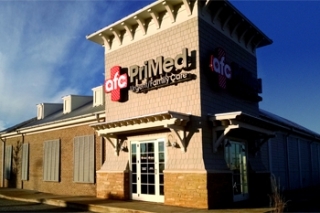 The Greenville clinic of AFC PriMed serves the area with walk-in treatment of most urgent care needs. AFC PriMed provides the treatment you need and get you on your way. In cases where more advanced treatment is necessary, AFC PriMed will connect you with the medical facilities and staff that can accommodate your needs. The Greenville clinic of AFC PriMed serves the area with walk-in treatment of most occupational health needs. AFC PriMed provides the treatment you need and get you on your way. In cases where more advanced treatment is necessary, AFC PriMed will connect you with the medical facilities and staff that can accommodate your needs. The Greenville clinic of AFC PriMed serves the area with walk-in treatment of most family medicine needs. AFC PriMed provides the treatment you need and get you on your way. In cases where more advanced treatment is necessary, AFC PriMed will connect you with the medical facilities and staff that can accommodate your needs.